Western Sydney’s Thomas Global Systems has formalised its alliance with Safran Group as the companies work towards supporting high-end defence and related technologies in Australia. As part of the alliance, Australia's Thomas Global Systems, which already supports key Australian defence programs including Collins Class submarines and Hawkei armoured vehicles, plans to create a specialist advanced manufacturing facility in Australia. The facility will provide production and long-term support for a range of Safran technologies, including Safran’s advanced PASEO sighting system. Defence Industry Minister Christopher Pyne was there for the agreement signing and said the establishing of the manufacturing facility by Thomas Global for the Safran Group products marked the first time the PASEO sighting system will be made outside of France. Used by the French Army for their new armoured vehicles, the PASEO is a long-range sighting system enabling day and night, real-time omni-directional optronic acquisition. 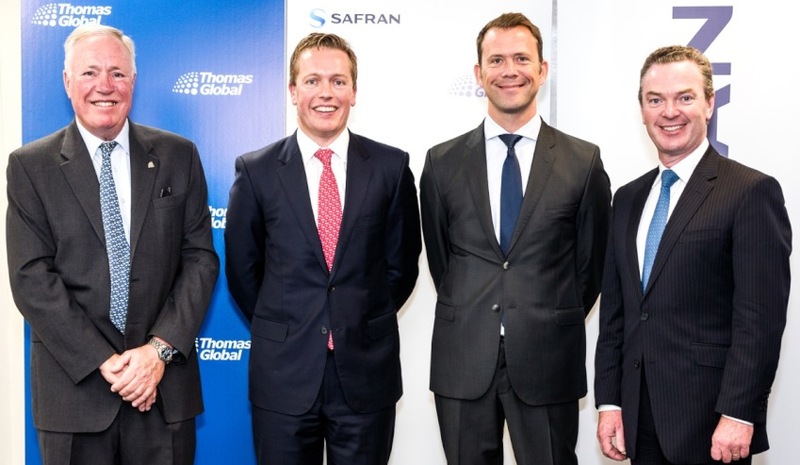 "I congratulate Thomas Global Systems for the commencement of this partnership with Safran Group, which establishes another platform for Australian industry to compete for local and export contracts," Minister Pyne said. "Thomas Global has benefited from the important work of the Centre for Defence Industry Capability, including assistance through the Global Supply Chain Program as well as participating in Team Defence Australia events, demonstrating the significance of the government’s programs to help small- and medium-sized Defence businesses." Headquartered in France, Safran Group employs more than 58,600 people across Europe, Africa, Asia-Pacific, North America and South America, and is also based at Bankstown Airport. It supports critical systems for the ADF on major platforms including the Anzac frigates, Landing Helicopter Docks and the Air Warfare Destroyers, along with the Tiger and MRH90 helicopters.